Between Elon Musk's lofty goals to make the world better for everyone with his innovations and companies seeking renewable ways to create products, the future has never looked better or more sustainable than it does now. A team of engineers at New York-based engineering materials company, Arconic, are also dreaming about what our future could look like. They just released their design for an innovative three-mile high skyscraper that would have unique abilities to purify air and include windows with the capability to transform into balconies. While some of these features sound like they’re straight out of a science fiction movie, the company is aiming to make this a reality within 45 years. Engineers at Arconic worked with futurists to create innovative ideas about ways our technologies could be of most use to us years down the line. The most unique and exciting feature about the tower is that it includes EcoClean, a coating designed to help the building not only self-clean itself but destroy pollutants in the surrounding air. Originally released in 2011, scientists were able to bring together titanium dioxide, a naturally-occurring oxide often found in concrete mix and suntan lotion, to Reynobond aluminum surfaces. What's great about this is that when it rains or there’s high humidity in the air, water will be able to run completely off the building, taking dirty particles with it. While some structures try to repel water, the hydrophilic surface this skyscraper will have absorbs that moisture to help clean itself off. Sherri McCleary, a Chief Materials Scientist at Arconic, explains in a report from Business Insider that maintenance costs would be very low in result of the EcoClean feature on the skyscraper. It’s also a possibility with the invention of 3D printing; the new technology can “withstand high winds and unique climates.” Both of these features are why something like a three-mile high structure is now possible. 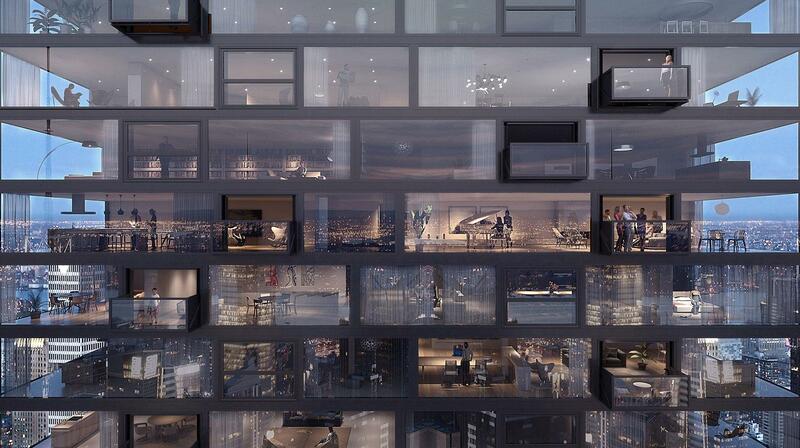 Another proposed innovative feature of the skyscraper includes windows that transform into balconies. HofmanDujardin is the company behind Bloomframe, a large two-pane window that pops out into a full-fledged all-glass balcony. While this is something that doesn’t make a whole lot of sense in houses, it would be a welcome addition to this skyscraper along with other business and residential buildings. And they're not just limited to brand new buildings. They'll be designed to replace windows in current structures along with eliminating the need to add ledges, a feature of the design that would be very handy for a skyscraper that plans to be three miles high. A prototype was launched in Paris back in November 2015. At the moment, the Burj Khalifa located in Dubai is the world’s biggest skyscraper at 2,717 feet. To put things in perspective, there are 5,280 feet in one mile. 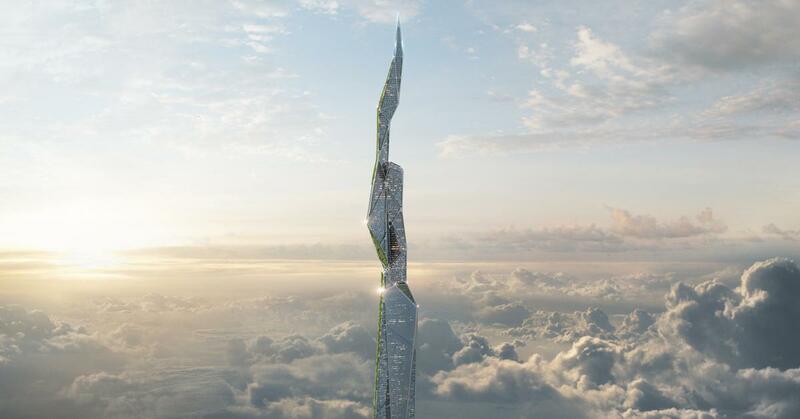 This new skyscraper from Arconic plans to be 15,840 feet, or nearly six times bigger than the current tallest building in the world.